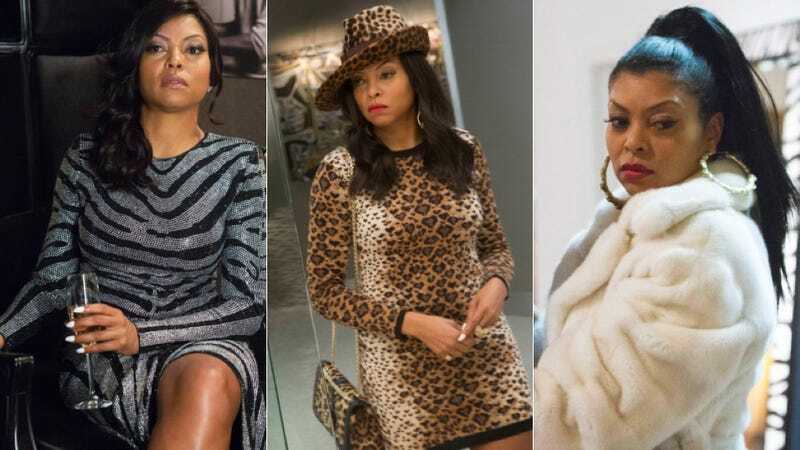 Cookie Lyon's bossed-up wardrobe is one of the reasons she's the real star of Empire. She's never seen on screen without some over-the-top fur or leopard garb. The show's costume designer Rita McGhee is the woman who keeps Taraji P. Henson's character and the rest of the cast properly flossed. In an interview with the New York Post, McGhee broke down her outfitting process, explaining that some of the vintage pieces were borrowed from the show's fashion/music consultant Monique Mosley, the wife of the music director Timbaland. Cookie's worn everything from a loaned zebra-print Balmain gown worth over $10,000 to a $695 leopard Valentino mini-dress. And it all happens with a budget of only $15,000-$20,000 per episode. "Cookie is a woman who was just released from prison after serving 17 years for selling drugs. She took the rap for her man, and now she is ready to claim what she feels is rightfully hers. Now that she is a boss woman, she has to look like one." What about them furs? Cookie's signature $10,000 ivory coat and others are loans from McGhee's mother-in-law Janet Bailey, the ex-wife of Earth, Wind & Fire's Philip Bailey. So we can thank Monique and Janet for their dope fashion game and contributions.